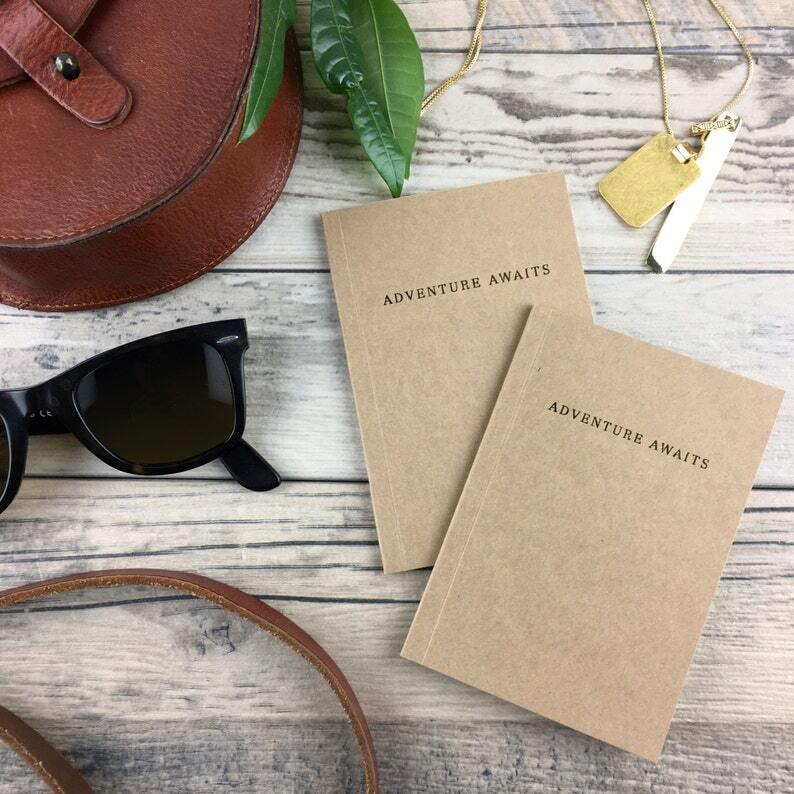 These pocket notebooks come in a set of 2 featuring kraft covers with antique gold accents and blank interior pages. Each notebook is bound using a hidden saddle stitch (staple) method and is designed, printed and assembled by hand. This set will come packaged in a crystal clear protective sleeve. **For larger quantities or customization please private message me! Format: Passport size 3 7/16" x 4 7/8"